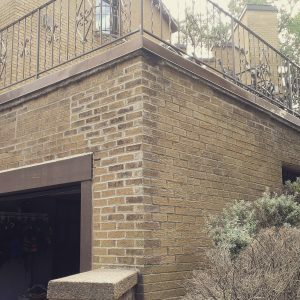 Whether you home needs a facelift, or repairs, we offer straightforward options for brickwork, or cement reparations. Contact us today about an estimate so that you can be on your way to having your home prepared for the upcoming weather. Here in the Chicagoland area and Northwest Indiana, homes need to be able to insulate and withstand some very fierce winters. Make sure your home is ready and sealed! You can see that this residential garage has some wear and tear over time. Previous reparations are apparent, and could lead to cracks and water leakage. You can now see how all the bricks are matching and aligned along with new bricks to reinforce the structure along with the design. 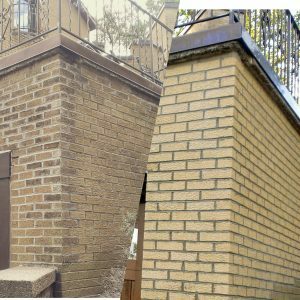 A side by side comparison shows how careful tuckpointing has been completed to ensure the home is secured. 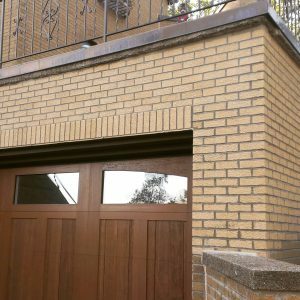 Not only does this lengthen the lifespan of the brickwork, but also shows off its beautiful design. Contact us or Call 219.484.9086 to make an appointment today.